How do I setup all accounts associated with the purchase of an asset via a loan? 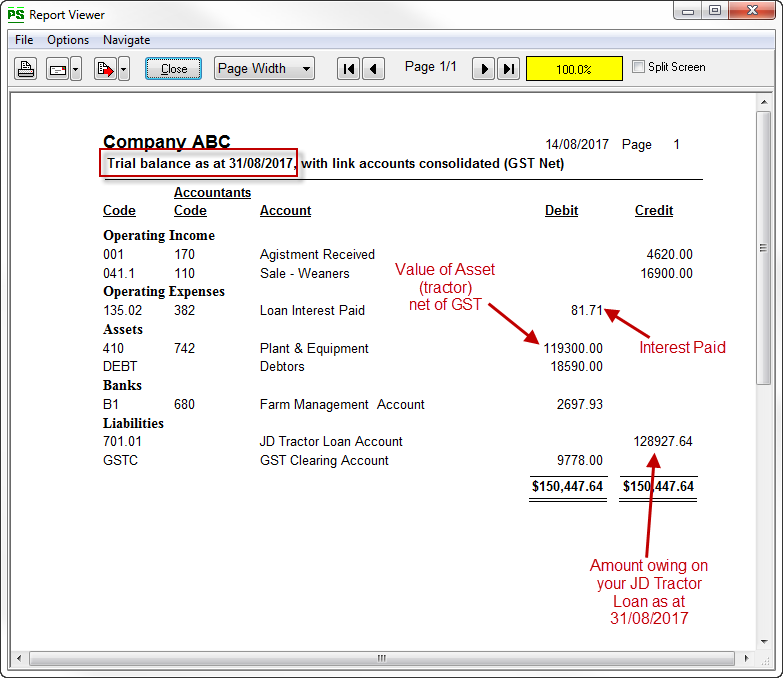 How do I enter the purchase of the asset via a loan into Cashbook? 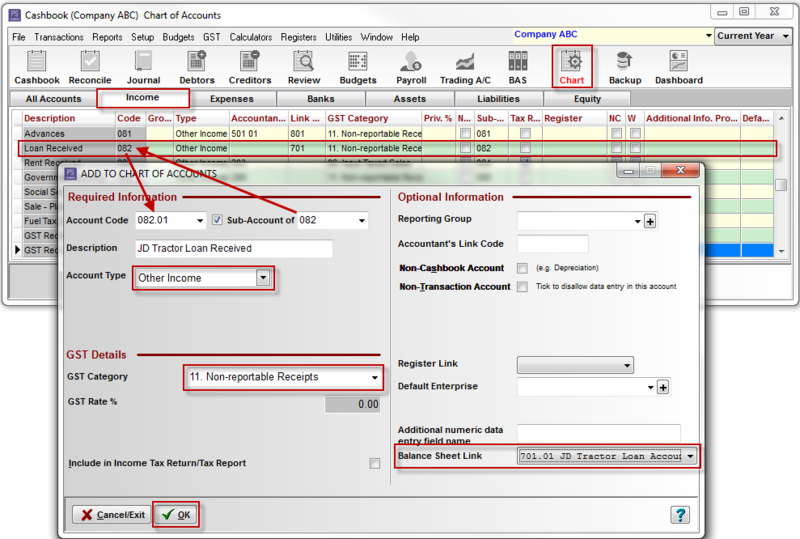 How do I add the asset to the Fixed Asset Register? How do I enter a loan repayment? Note: you will need to be on Cashbook Level 3 or above to setup a loan account using this procedure. Setup a Liability (Loan) Account. These accounts will be used to show the income and expenses to and from the loan. This expense account will be used for loan repayments (or to reduce the amount owing on the loan). This Asset account is used for the purchase of the asset. 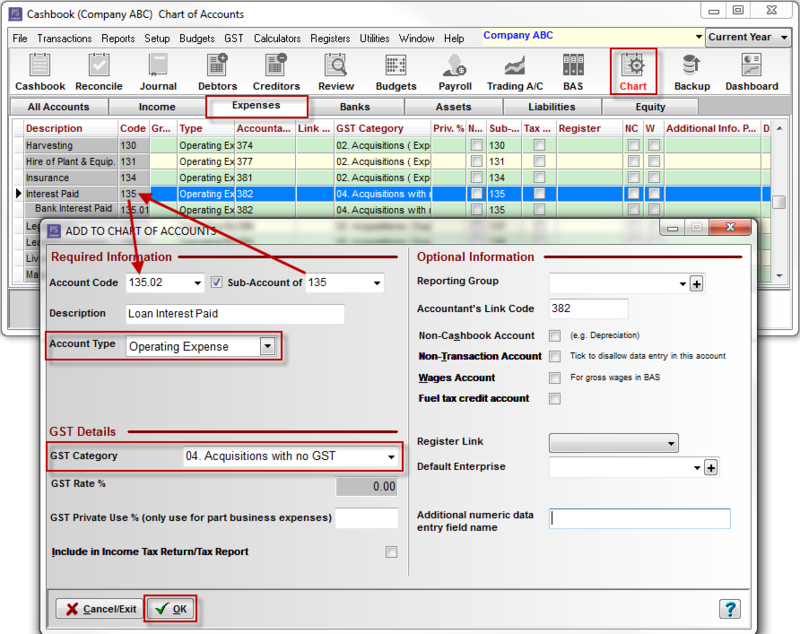 This expense account is used for the purchase of the asset. The purchase cost will be used to set the initial value of the asset. The value should include any GST and be before any trade-ins or deposits. This expense account is used for the interest component paid on loans. 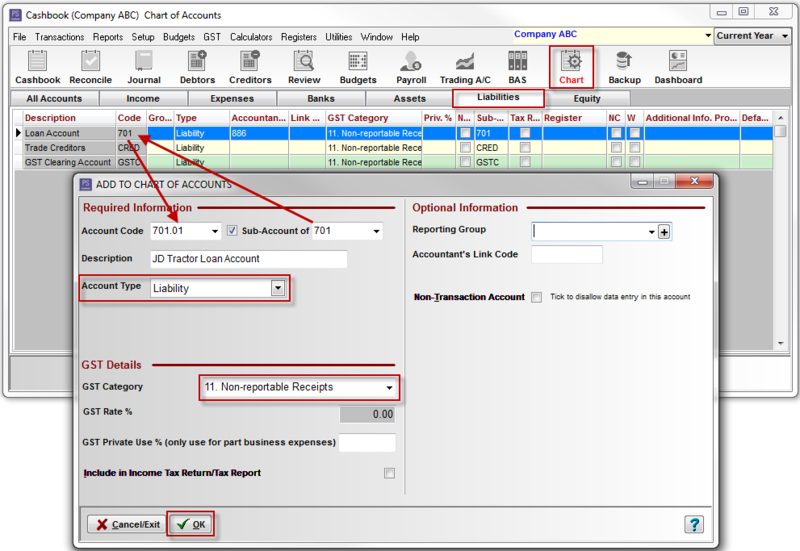 Add a Cashbook transaction to record the purchase of the asset via the loan. Add a Cashbook transaction to record a loan repayment. Click on the Liabilities tab. Tick the Sub-Account of check box. Add your Other Income account details. Add your Other Expense account details. 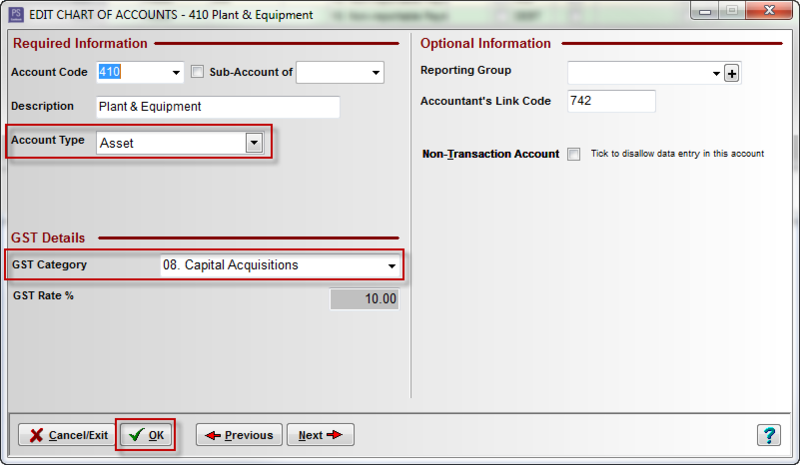 Step 4: Setup an Asset Account. Click on the Add or Edit button. Step 5: Setup another Other Expense Account. Click on the Close to exit Chart. Note: The principal is the amount you borrowed and have to pay back, and interest is what the lender charges for lending you the money. For this example, we have created an Interest on Loans expense account and then created a separate sub-account for the tractor loan interest. 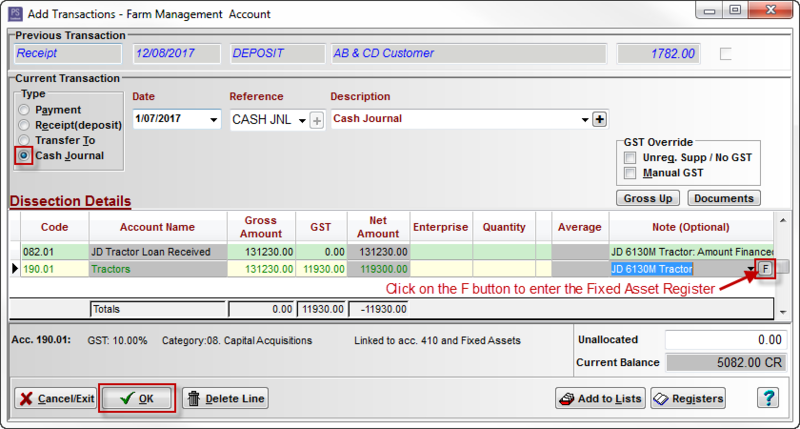 Click on Cashbook toolbar option. The transaction Type is Cash Journal. Click on the F button to enter the Fixed Asset Register. Click on the New Asset radio dial. Original Cost - net of any GST. Purchased From - select from drop-down list of suppliers or enter new name. Value for depreciation - this will normally be the same as the cost of the asset. Date for depreciation - i.e. date from which depreciation is calculated - this will normally be the same as the purchase date. 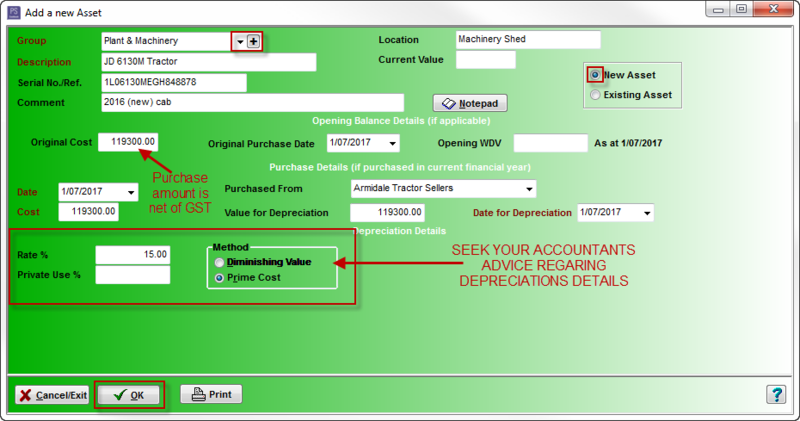 Depreciation Details - Depreciation Details such as (Depreciation) Rate%, Private Use% and Method of Depreciation - Diminishing Value and Prime Cost. - these should be entered after advice from your accountant. Click on the OK button to save details to Fixed Asset Register. Click on the OK button to save the Cashbook transaction. There are two methods you can use to calculate asset depreciation. Note: It is strongly advised you contact your accountant for help in calculating depreciation amounts and which method you should use. Your accountant can look at how your business operates to determine which method is appropriate. Also consult your accountant as to when to depreciate your assets, e.g. at the end of the financial year. The principal - the amount you borrow to buy an asset. The interest - what you are charged by the lender for borrowing the principal. Click on the Cashbook icon on toolbar. The Transaction Type is Payment. If the currents month's interest is paid each month on or before the specific date, there will be no interest liability. Therefore, each month's payment of interest will be allocated to the Interest on Loan expense account (see Step 6). If the current month's interest is not paid off, then the interest serves to increase the amount of your loan and therefore should be allocated to the Tractor Loan - Received (Other Income) account (see Step 2). The credit balance of your liability account (e.g. 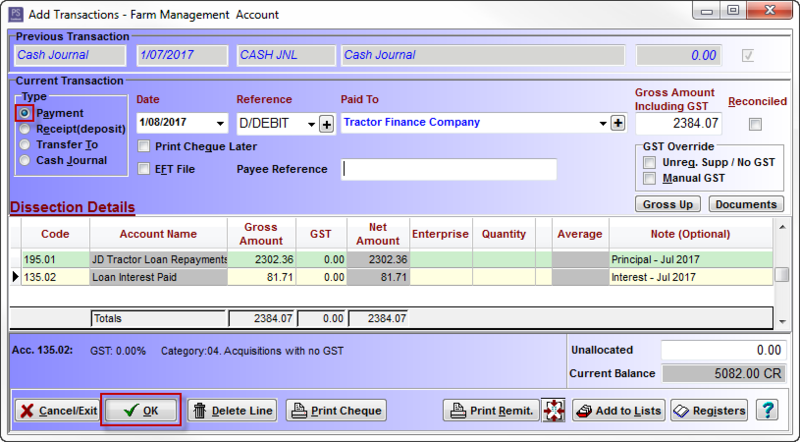 701.01 JD tractor Loan) should agree with the loan balance shown on the loan statement furnished by your lender. If such a statement is not provided, you can phone your lender and ask for the principal balance on your loan. 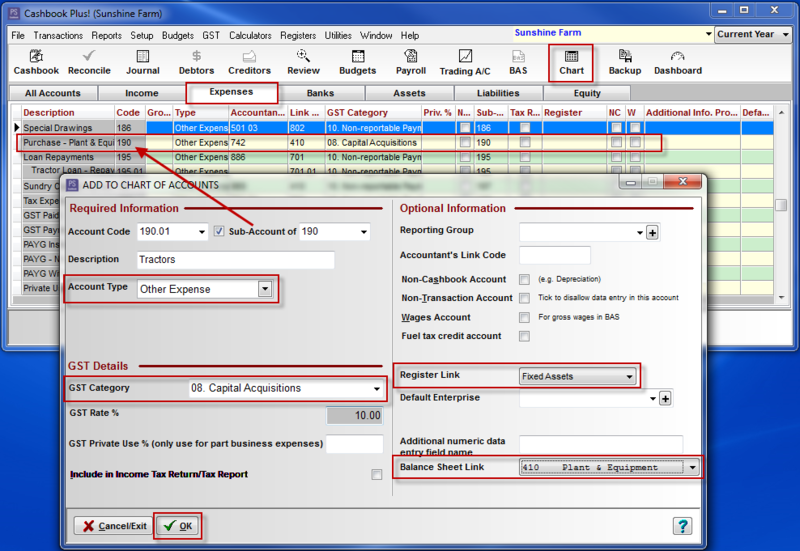 Click on Reports > Accounting Detail >Trial balance menu option. Select the Report as at date. 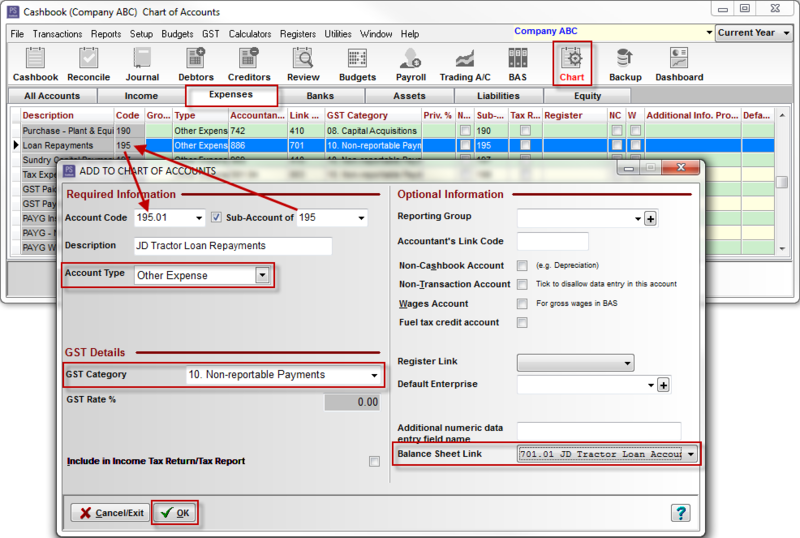 Scroll down to the Liabilities section of the Trial Balance. See credit balance of your loan.